MangaHelpers > News > Manga News > It is time to say good bye-tebayo! It is time to say good bye-tebayo! The time for departure has come. Even the longest journey has to come to an end at some point. So dear Shinobi of MangaHelpers-gakure. 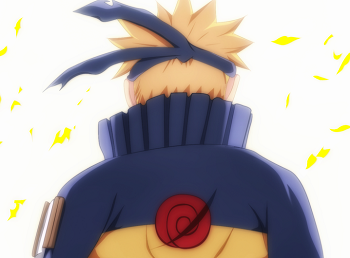 Join us and bid farewell to Naruto. there's only Bleach now, that and attack the titan. toriko's okay'ish, but not as fascinating as Naruto was. in my mind, there was Dragon Ball and then there was Naruto.....though i enjoyed bleach immensely, it's not nearly as enjoyable or thought provoking as Naruto was. There goes my youth... Made me think that im a real grown up now.. Someday i will tell my kids of this manga also... So they can read and see a very great and awesome manga... Thank you Naruto for making my life special... My gratitude, Kishi sensei you were awesome sir! I read other manga like One Piece, Bleach and my now second favourite (Shingeki no Kyoujin). Though to me this will always be the best manga because it was the one closest to my heart. Even more than Dragon Ball. I'm glad to have read it, sad to see it go but overall it was a blast! Thanks to Kishimoto and Naruto. Yes there is a part 3... but the tale of Uzumaki Naruto is over, and I'm honoured to have read this amazing series. I grew up alongside this manga, so it is like Naruto was seeing us all off to the rest of our lives as we saw him achieve his dream and what he went through to get there.